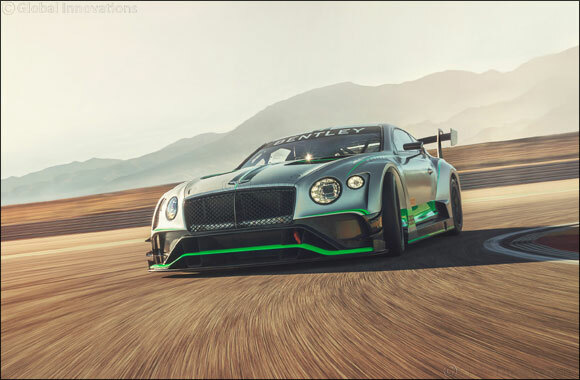 Dubai, UAE, January 31, 2019: Bentley Motorsport embarks on a landmark racing campaign as the world’s most sought-after luxury car brand when it competes in the season-opening Bathurst 12 Hour for the fifth time. The opening round of the Intercontinental GT Challenge (IGTC) signals the first competitive outing in Bentley’s centenary year for the second-generation Continental GT3. The British squad returns to the challenging Mount Panorama circuit confident it can fight for victory in this year’s blue riband GT events, following a strong season of development in 2018. Bentley’s Director of Motorsport, Brian Gush: “Our founder Walter Owen Bentley’s mission statement was ‘to build a good car, a fast car, the best in class’, and we’re forging ahead in this spirit with the Continental GT3 after an encouraging debut year of development. Motor racing has been at the heart of Bentley since its inception 100 years ago. From the Le Mans-winning Speed 6 to the Continental GT3 of today, we have pushed our engineering expertise to the limit in the most challenging conditions to develop the world’s leading luxury performance cars that you see in our showrooms. The two Continental GT3s, resplendent in a new-for-2019 livery and making their Bathurst debut, normally carry the #7 and #8 race plates, but in honour of the centenary each will have an extra 100 added to their numbers. Car #107 will be driven by Bentley’s two-time Bathurst 12-Hour podium-finisher Steven Kane (GB) with team-mates Jordan Pepper (ZA) and Jules Gounon (FR). The sister #108 machine will carry long-standing Bentley racers Andy Soucek (ES), Maxime Soulet (BE) and Vince Abril (MC). Bentley Motorsport is mounting an expanded dual campaign in 2019 that comprises a full-season assault on the Blancpain GT Series Endurance Cup with Bentley Team M-Sport as well as the global IGTC, which features four further endurance races at the California 8 Hours of Laguna Seca, the 24 Hours of Spa, Suzuka 10 Hours and the new Kyalami 9 Hour race in South Africa. The dramatic 23-turn, 6.2 km Bathurst circuit in New South Wales is considered one of the world’s toughest thanks to its high speeds, narrow mountain section, blind apexes and steep elevation changes. Total commitment is required at all times around a track that reverts to being a public road post-event, while the 1.9 km Conrod Straight – where the Continental GT3 can hit speeds of 170 mph (270 km/h) – is one of the longest to be sanctioned in world motorsport.